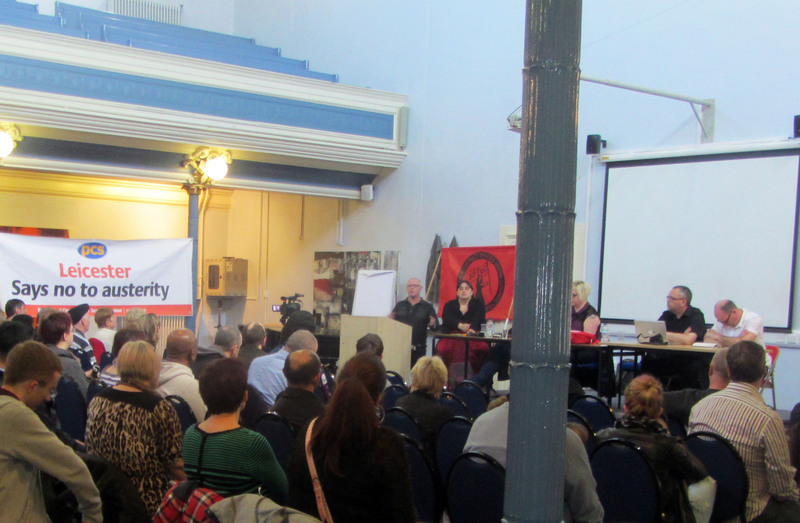 About 50 trade unionists, campaigners and local workers and unemployed met in Leicester on Saturday 20th April for the east midlands Unite the Resistance rally. The aim of the rally was to discuss how the working class can resist austerity politics and build a coordinated fightback against the Coalition government. There were a number of speakers who introduced similar and different issues that those wanting to resist austerity politics need to debate. These issues ranged from exposing the myth of Thatcherism, defeating Thatcherism modern day variations, which we now call neo liberalism, to squarely pointing the finger at the bankers and their supporters in government for causing the crisis and making workers pay for it. We heard about the recent PCS strikes, the dispute at Molson Coors Brewery in Burton-on Trent and other workers actions against austerity. There were discussions on these issues and especially on the effects of the Coalition governments bedroom tax. There was a discussion about how we should fight back against austerity. We heard about why the national strike, in 2011, against the attacks on pensions was not used as springboard for further workers resistance. We thought lessons had to be learnt from this for future fights. Further debates were had on the failure of austerity politics to remedy the economic crisis, the effects of austerity on different sections of the working class such as public and private sector workers and on the vicious attacks on those dependant on benefits. Two leading trade unionists talked about the dispute they are involved in at a brewery in Burton. They gave us details of the dispute which could lead to a massive cut in pay for workers if the employers have their way. A suggestion was made to call a public meeting in Burton in support of the brewery workers which would be in addition of any action called by Unite the union. We heard about the successful rolling strike action by civil servants in the PCS trade union. This strike action is against increases in workers pension contributions and below inflation pay rises, along with attacks on civil servants terms and conditions of employment including union rep facility time. There was a long discussion about the brutality of benefit cuts to those workers who are not in work. The meeting said with one voice that united we can defeat this particularly vindictive attack. Towards the end of the rally all agreed that workers militancy needs to match the attacks of the Coalition government who we thought were not as strong as they make out. We need to turn our rage into a fight that can stop the Tories and bring them down. A number of decisions were made to take forward. 1) We need to offer support to the Burton brewery workers 2) Offer support to the brick Kiln workers who are out for 6 weeks in Peterborough. 3) Campaign against the bedroom tax a leaflet a local area of Leicester with volunteers who came forward in the rally 4) To plan for an east midlands Unite the Resistance conference in the autumn. The rally ended with a call for those who want to fight to get involved. Many of those who attended have left their contact details to get involved in activity and building the resistance to the Tories. 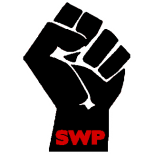 This entry was posted on Apr 23, 2013 by leicestersocialistworkersparty in Socialism, Uncategorized and tagged communism, left-wing, leicester, politics, socialism, socialist, socialists.